Pull&Bear x Marc Márquez Release New Collection Inspired By The MotoGP Champion | RESPECT. Pull&Bear, the Inditex Group’s young fashion brand, and Marc Márquez, seven times Motorcycle World Champion, are renewing their joint project with the launch of a new collection inspired by the current MotoGP champion and leader. 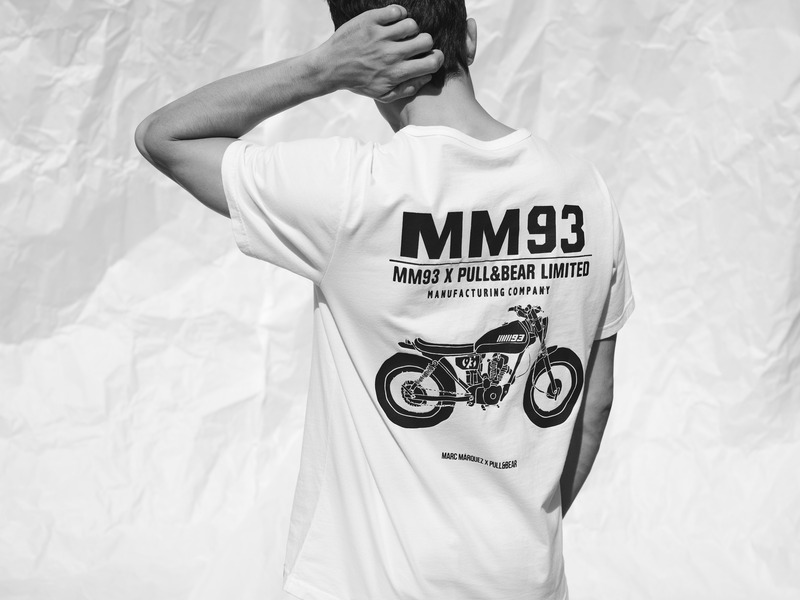 This is the fifth fashion line Pull&Bear and Marc Márquez have developed together. The new designs revolve around the most recognizable iconography of the rider and the motorcycle world. These include biker slogans, illustrations on photos of Márquez in action and nods to the café racer trend, without forgetting the signature MM93 logo (in reference to the champion’s initials and year of birth). Prints on the chest and back, panels on garments resembling sports merchandising and black-white contrasts feature in this first part of the apparel and footwear collection. In a few weeks, a second capsule will be released which also includes touches of navy and red. For the first time, Marc Márquez shared his photo shoot by photographer Nacho Alegre with his brother Álex, 2014 World Champion, who now also has personalized Pull&Bear garments.